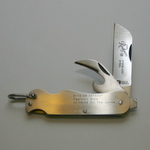 This pocket knife is the latest version of the classic british army clasp knife. Simple, no fuss functional knife features a locking main blade and a bottle & can opener blade. 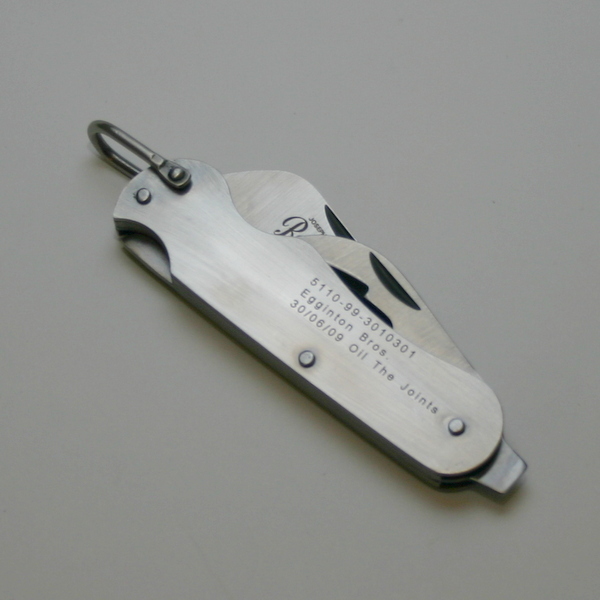 A screwdriver head and lanyard attachment complete this piece which is made in England from finest Sheffield stainless steel.